"UNIGE-UNOG Conversations with Academia" is a series of lectures at the UN Library by University of Geneva Scholars followed by a discussion with UN professionals. 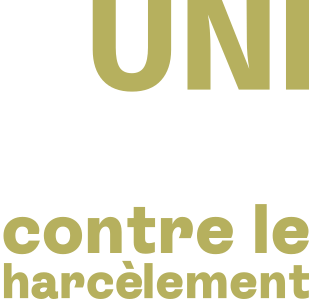 This project aims at reinforcing the constructive dialogue between UN experts and University of Geneva scholars and at jointly creating an informal knowledge network by connecting UNIGE scholars to UN experts on specific topics. Four sessions per year are organised jointly between the United Nations Office at Geneva and the University of Geneva at the Palais des Nations. Director General of the United Nations Office at Geneva Michael Møller and Professor Jacques de Werra, Vice-Rector of the University of Geneva have officially launched this joint initiative on October 5th 2018 at the Palais des Nations. Professor Jacques de Werra has then given a lecture on global digital governance. Tina C. Ambos is Professor of International Management and serves as the Director of the Institute of Management and as the Academic Director of the International Organizations MBA. She received a Venia Docendi (Habilitation) and a Ph.D. from WU Vienna. Tina’s research and teaching interests include global strategic management and innovation in the context of multinational corporations, technology start-ups and international (non-for-profit) organizations. Alexandre B. Hedjazi is a Senior Lecturer at the University of Geneva, where has taught many courses on comparative politics, and organized multiple seminar series on the Caspian Sea, Regionalization and Urban development bringing scholars and practitioner to explore and discuss the nexus of development, security and the environment. Bridging his academic research and his knowledge of Central Asia and the Caucasus, his latest work concerns the impact of emerging economic and political insecurities on regional cooperation and development. Jacques de Werra is vice-rector of the University of Geneva (where he is in charge - among different projects - of the University's digital strategy www.unige.ch/digital) and professor of law (intellectual property and contract law). He holds a doctorate in law from the University of Lausanne and a Master's degree in Law (LLM) from Columbia Law School and was admitted to the bar in both Geneva and New York. Prof. de Werra was a Faculty Fellow/Faculty Associate at the Berkman Klein Center for Internet and Society and has held visiting professor positions at various universities, including Stanford Law School, Nagoya University and City University of Hong Kong. He has launched a summer school on Internet law at the University of Geneva (www.internetlaw-geneva.ch) and co-leads the WIPO - University of Geneva summer school on intellectual property. Ten seats are reserved at each event for University of Geneva students. This is on a first-come served basis. If you are interested in participating, please send an e-mail with your etu.unige.ch e-mail address at least five working days prior to the event; the e-mail should be sent to conversations(at)unige.ch.